The film will be followed by an exclusive recorded Q&A with Sir Michael Palin, Terry Gilliam and Ray Cooper, hosted by Sanjeev Bhaskar. 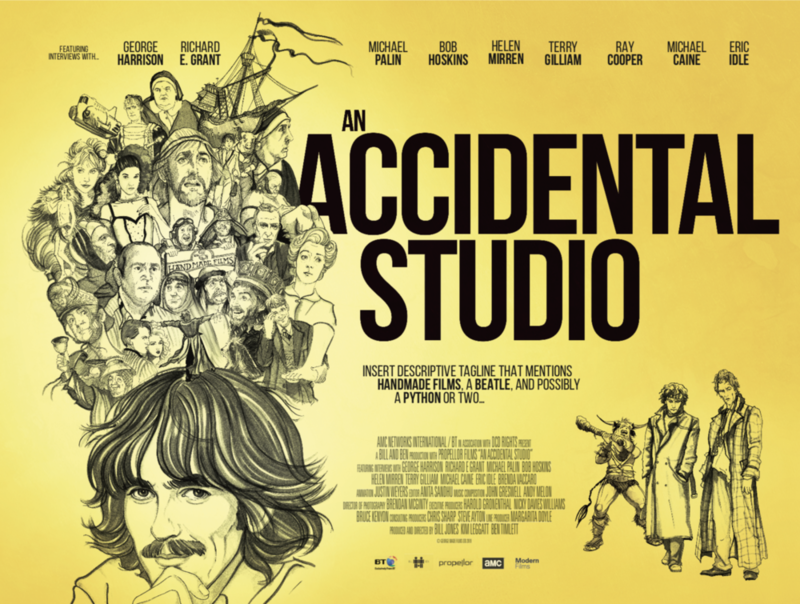 AN ACCIDENTAL STUDIO charts the early years of HandMade Films as seen through the eyes of the filmmakers, key personnel and the man who started it all - former Beatle George Harrison. With unreleased archive interviews and footage with Harrison, exclusive interviews with Sir Michael Palin, Terry Gilliam, Richard E. Grant, Neil Jordan, and unseen interviews with Bob Hoskins, this documentary explores HandMade’s baptism by fire, the risks it took in producing uniquely crafted intelligent films and the stories that grew up around it.